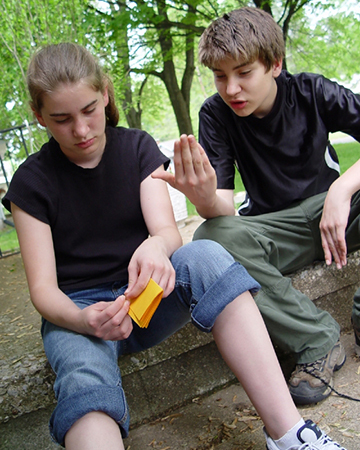 You may recall the You Tube “cinnamon challenge” and, more recently, the “ice and salt challenge.” Now, tweens and teens are “snorting Smarties,” crushing up the sugary candies to a fine powder that can be smoked or snorted. The behavior is beyond ridiculous… it’s dangerous. Are kids trying to fit in? Impress their peers? What would possess a child to do something so bizarre? 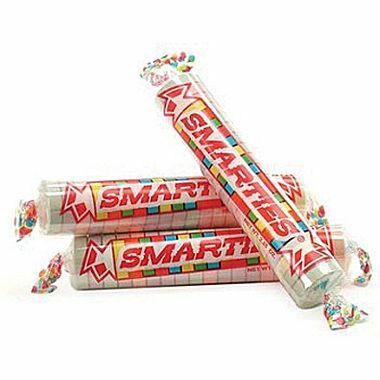 To smoke Smarties, students crush the candies into a fine powder while it is still in its wrapper, tear off an end, pour the powder into their mouths and blow out the smoke. Some are able to put the powder into their mouths and blow it out their noses … To snort Smarties, students use a straw or a rolled-up piece of paper to snort the fine, crushed candy powder up into their nasal cavities. What’s the harm in just pretending? Smarties powder is not an addictive substance, but abusing it can present specific health risks. If the sugar coats the lining of the nasal cavity, infections and inflammation may result. This is particularly dangerous for children who have asthma or allergies. But the real headline in this story — the one that’s made it go viral — is that snorting Smarties can result in nasal maggots. Yes, maggots. Unfortunately, the way this story surfaced (or resurfaced, as some skeptics claim) has caused many to question the validity of this reported “trend” and its ugly consequences. The informational releases from the Scarborough and Portsmouth school districts referred to “research” and included a quote about nasal maggots from the Mayo Clinic’s Dr. Oren Friedman. Unfortunately, that Dr. Friedman’s quote was taken out of context — he had not seen any Smarties-snorting patients with maggot infestations — from a 2009 Wall Street Journal article. So why do children engage in these strange behaviors? Sometimes, it’s just to get some much-needed attention. “When parents aren’t paying enough attention to their child, the child will start looking for any kind of attention — negative or positive, it does not matter,” says Estes. A sign of problems to come? “Smarties are not physically addictive, and there is no evidence that kids who snort Smarties will go on to become addicts,” says Dr. Bober. But, moving forward, you’ll want to be on the lookout for similar behaviors. If you kid has already done the deed, it’s important to find out why. “Counseling with a mental health professional is warranted,” says Dr. Bober.